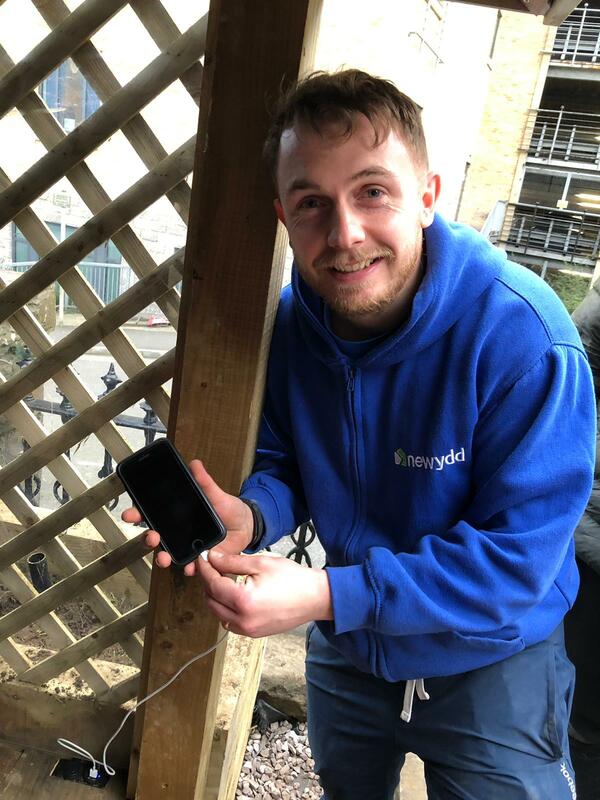 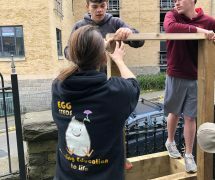 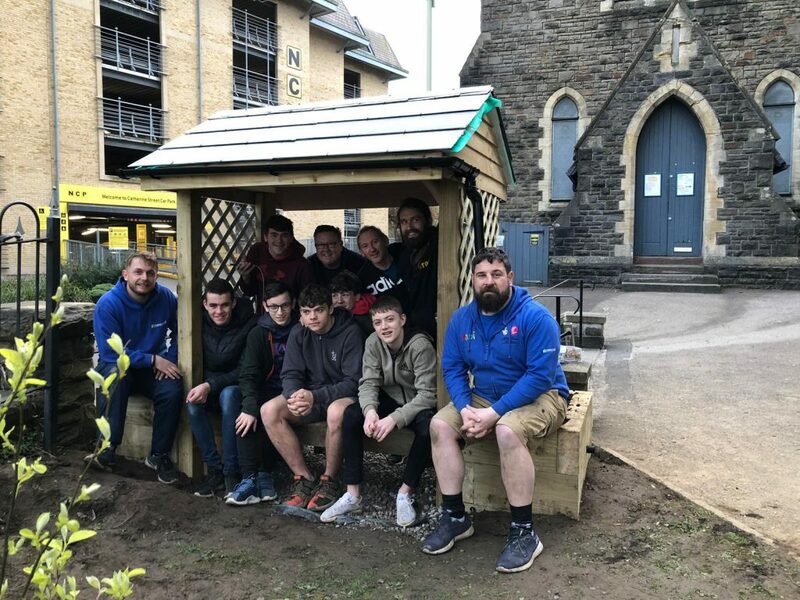 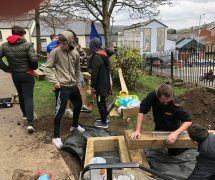 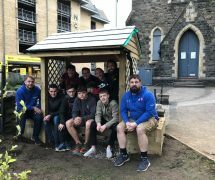 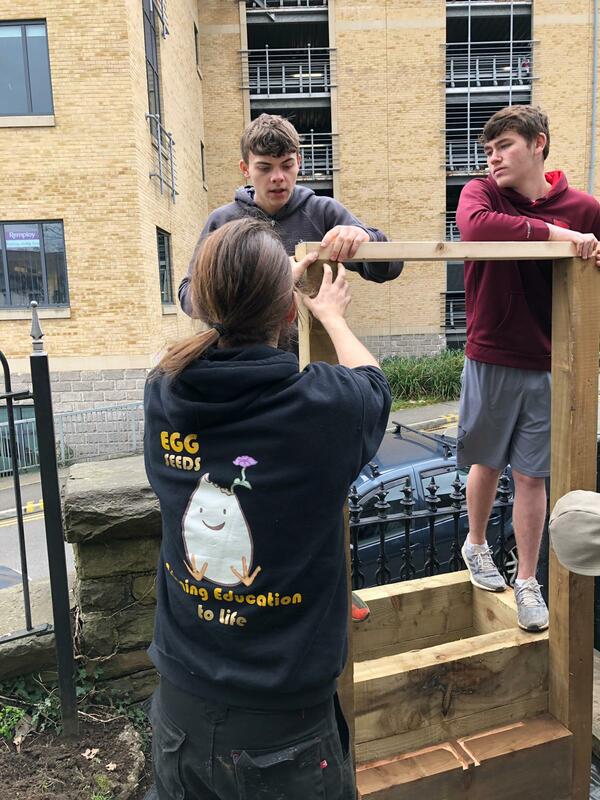 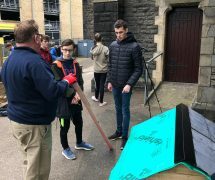 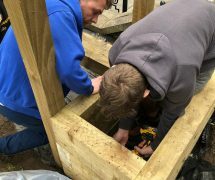 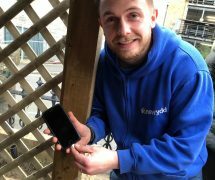 The innovative idea came about after members of Rhydyfelin Youth Club began developing their woodwork skills during training with Eggseeds, a sustainable education organisation. 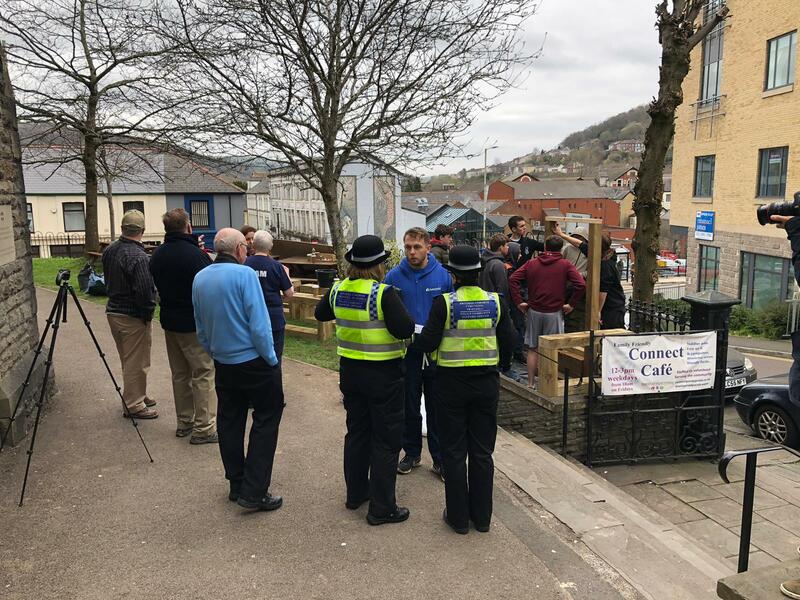 They identified the problem of charging a phone when out and about and wondered whether a station such as a solar powered bench could assist. 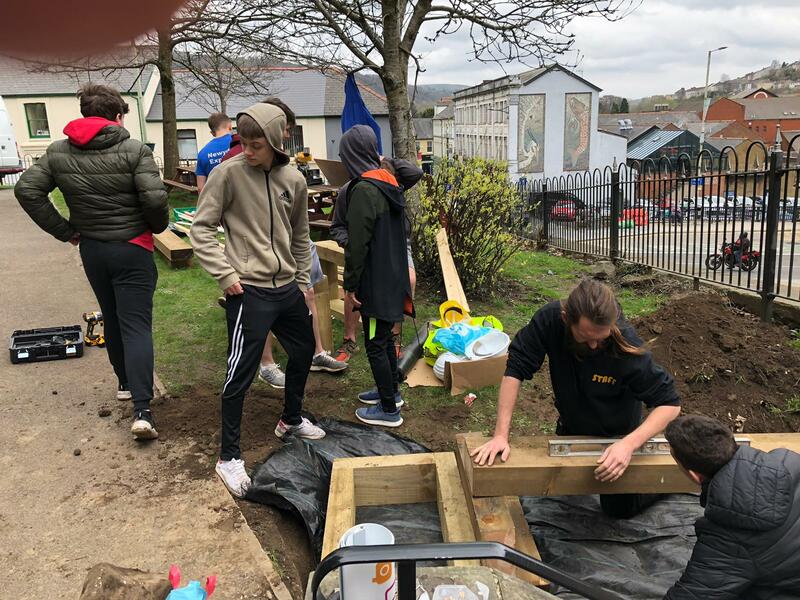 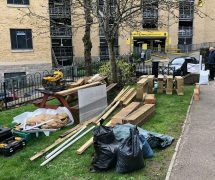 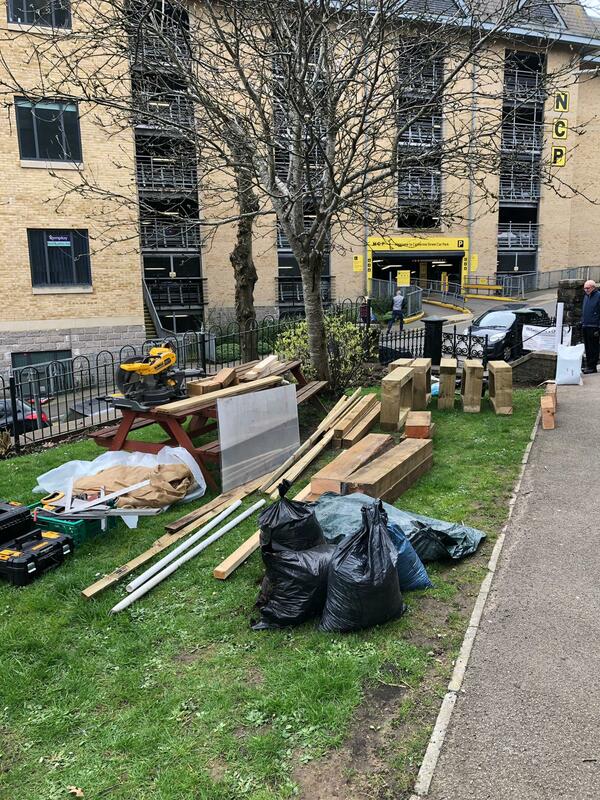 With initial support from Newydd Housing Association, the project was kickstarted with funding from Interlink RCT, specialist support from Renew Wales, and wood donated by TR33, Newydd’s contractors. 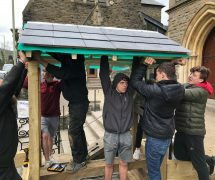 Solar panels were also acquired by GB Sol and Roofbase Cardiff also donated roof slates. 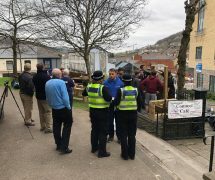 Several additional partners were also forthcoming in providing additional support and expertise. 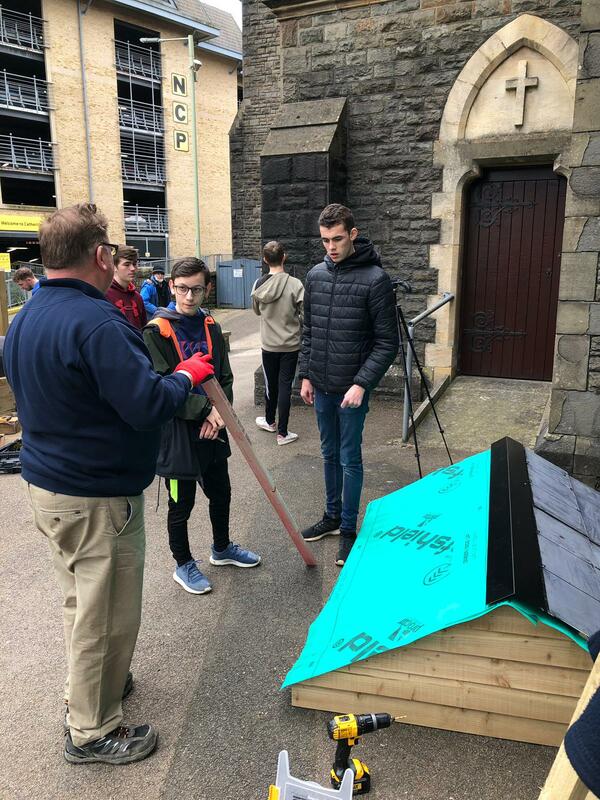 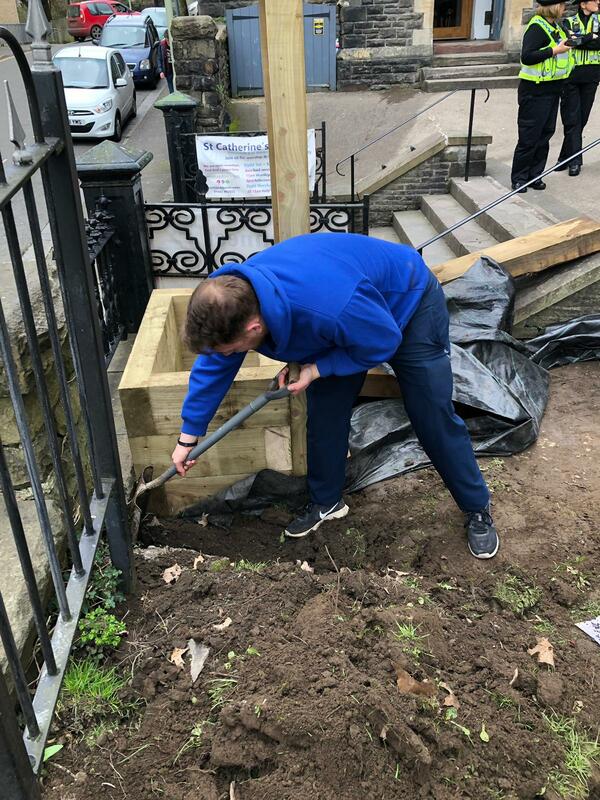 This gave the group the confidence to present the idea of installing the bench on church grounds to Reverend Peter Lewis of St Catherine’s Church. 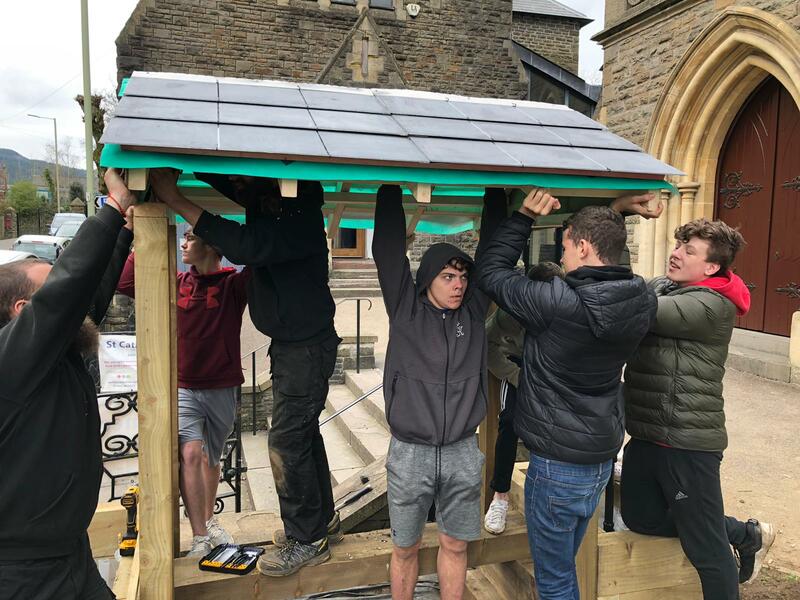 The completed wooden bench has a solar panelled roof that stores power and allows the public to charge devices through one of two USB ports. 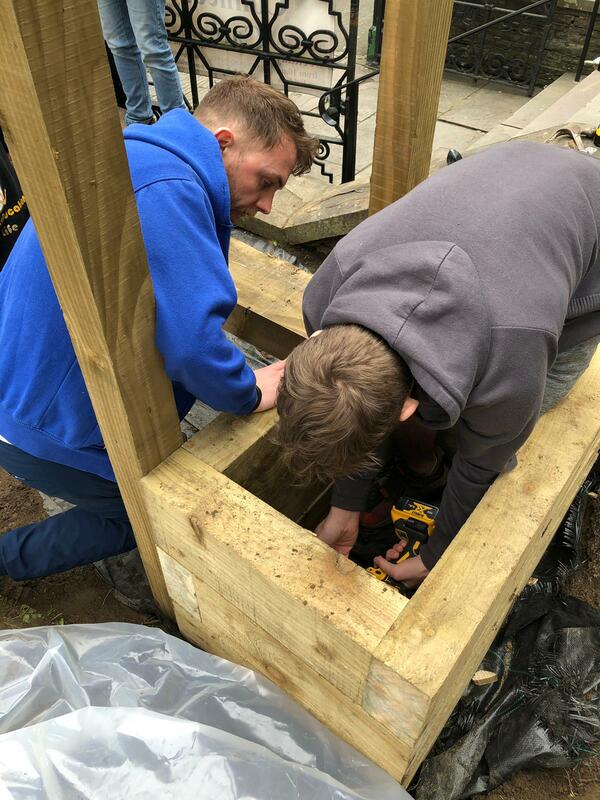 The wooden trellis on either end of the bench will be used to grow fruit bearing vines such as strawberries or tomatoes, while the wooden planters will be used to grow root vegetables. 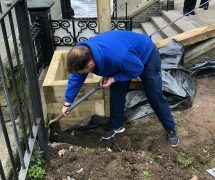 The guttering acts as an irrigation system, diverting water away from the bench and to the planters.